A Lasting Power of Attorney (LPA) lets you appoint the people you trust to look after your affairs if you become unable to do so yourself. Not only does this prevent a stranger, or someone you do not want from having this power, but it also makes it easier for your loved ones to care for you should they need to. At Pembroke Will Writers, we provide straightforward, professional advice (at home or our offices) to help you appoint a LPA. Contact us to ensure your affairs are looked after as you desire. When you are no longer capable of taking care of your affairs, you want someone reliable and trustworthy to do it for you. But, while many people think a LPA is only needed in later life, waiting until declining health can result in unnecessary stress, delays and costs. There is no way of knowing what might happen to you, so it makes sense to prepare by drawing up a LPA now; while you are capable of doing so. This way, should become physically or mentally incapacitated, it will fall to someone you want to look after your affairs and ensure you are looked after as you desire. Do not let the courts decide for you. 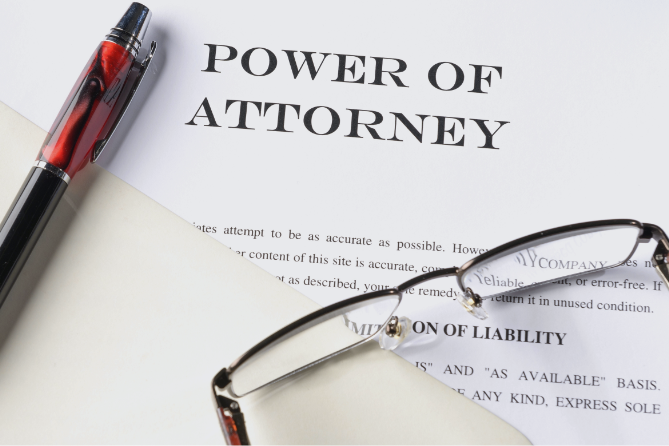 If you are over 18, you can appoint a Power of Attorney to take care of your affairs in the event of an accident or disability. Take action to protect you and your loved ones, whatever is around the corner. Health and Welfare. Deals with your health and general welfare. Offering an in-depth personal service in the comfort of your own home, our professional, honest and friendly advice ensures you always understand what is happening. Furthermore, we make sure you have all the time necessary to ask questions and get the information you need.